Date: January 29, 2017 Author: thecuriouskiwi	Category: Amnesty Day! Tags: Amnesty Day! 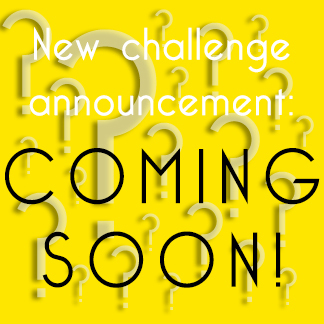 ← Announcing the February Challenge! In the past we’ve had an Amnesty Month each year but the Collective have told us that waiting 11 months between each Amnesty is way too long. We’re listening and we totally agree! And while you Editors love to see you catch up, we (and Miss Bossy) also dislike losing a whole month each year to the Amnesty Challenge. It’s one less month every year for a fun idea from our endlessly growing list. So, we’re going to continue the tradition of Challenge Amnesty Sewing, but make it a more regular thing, one day each month. Amnesty Day is the last day of each month, wherever you are in the world! You might also just want to sew from an old challenge that you never got around to, or repeat a favourite challenge…well now the last day of each month is for you! On that day, and that day only, you may post any finished TMS Challenge make from ANY prior challenge. Tag it with the original category AND the new “Amnesty Day”category and we’ll all get to enjoy some great finished items from the past! The Amnesty badge is deliberately neutral because Amnesty Day is for ANY challenge from ANY year! I’ve forgotten what the past Challenges were! Great idea! I’m sure I’ll fill in a few of the Amnesty Days! Good plan batman. I reckon this works.